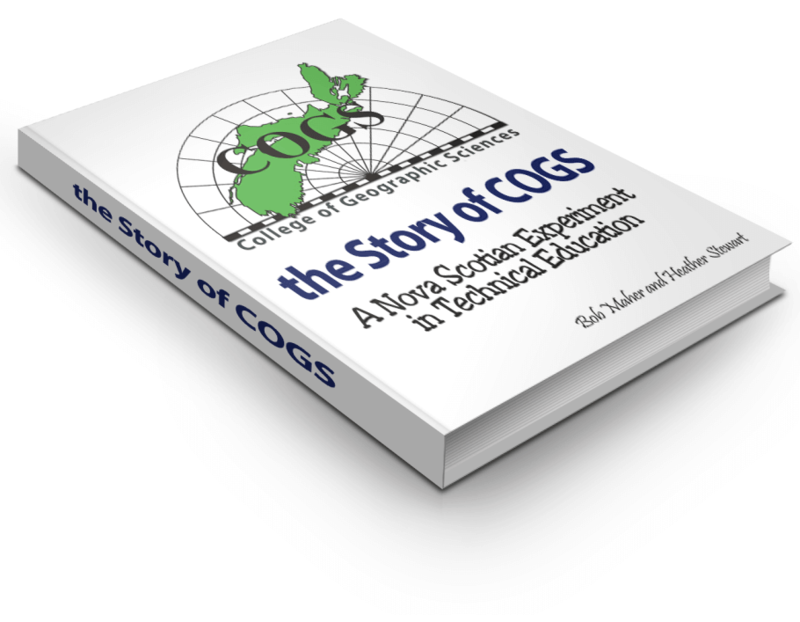 Jonathan Murphy has published ‘The Myth of COGS’ on his web site (www.gogeomatics.ca) . It includes an interview with Gary Gaul, a report on a meeting in Annapolis Royal with a group of retired SCP instructors, and a contribution by Val Thomas, COGS graduate and now RS faculty at Virginia Tech. It is interesting that the ‘myth’ is in fact a description of the ‘reality’ of COGS in the 1980’s. This was thirty years ago: before Internet, before the stores closed in Lawrencetown, before students all had their own transportation. The fun part was talking to the instructors and reminiscing about the freedom and flexibility for designing technical education with the new computers and software. On the local front, we continue to look at the role of COGS in rural economic development. The regional newspaper chain, Newspapers Atlantic, is sponsoring the Georgetown, PEI conference in October 2013, entitled ‘Rethinking rural’. 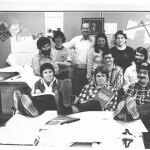 (www.thegeorgetownconference.ca ). For our contribution, we are hosting a one day event at COGS on May 4th , called ‘The Road to Georgetown’ (bit.ly/road2georgetown). It will include stories by local residents on our unique economic geography. This project is a collaboration between myself, Dave MacLean (COGS faculty) and Edward Wedler (ex-RS instructor at COGS). Check out the web site above. It maps registrants for the conference. Last week in Halifax, I met up with Gwen MacNairn. Gwen was a graduate of the GIS program. She later telecommuted to Redlands before becoming the Librarian, Computer Sciences at Dalhousie University. Her partner, Bill Jones was also a COGS graduate. Bill has contributed maps to a new book by Trudy Sable and Bernie Francis, entitled The Language of this Land, Mi’kma’ki. This book presents a perspective of a time when people moved about the landscape without roads or vehicles travel was by foot or canoe. Again, check it out if you are interested the pre-European perspective on the Nova Scotia landscape. thanks for your article Bob. It’s drawing a lot of interest form the community and quite a few comments.